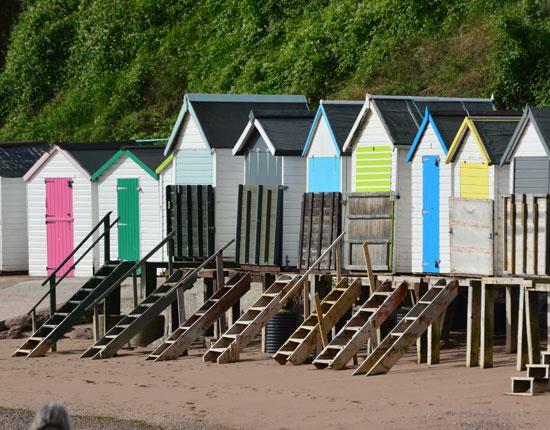 Ride - don’t drive - to the beautiful English Riviera. Enjoy the scenic journey and the luxury, excitement and relaxation throughout your stay. 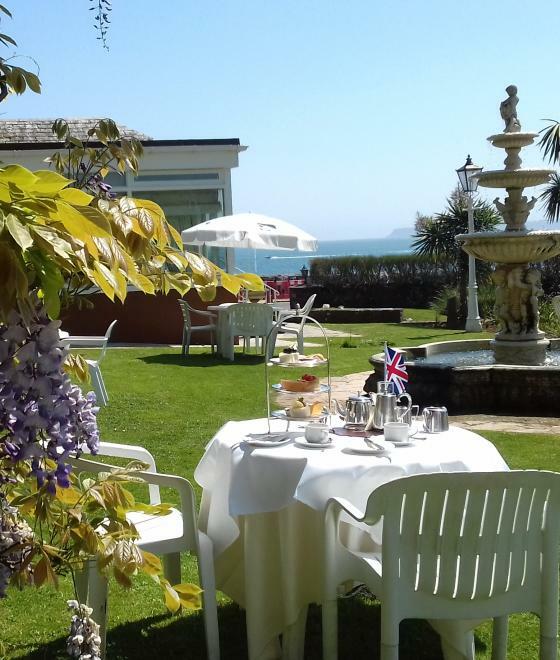 Get away from it all with an affordable, luxurious break at The Livermead House Hotel in Torquay on the glorious English Riviera. 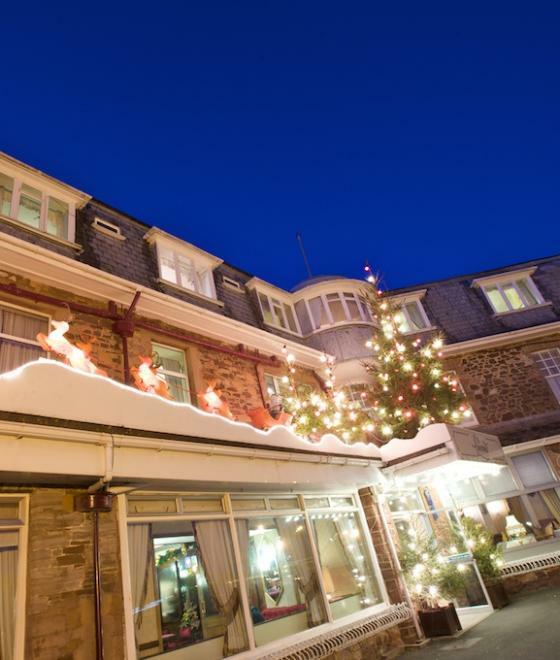 Our 3 star award winning Hotel offers excellent food and service and those extra home comforts designed to make this mini-break the one you will remember fondly and will want to repeat. Luxury and comfort all the way from the minute you are collected from your local pick up point to the time of your return. Our luxury coaches have on board toilet and washroom and there are regular refreshment stop off points on route. Find our booking form here! Download the Marine Travel 2019 pick up points PDF. 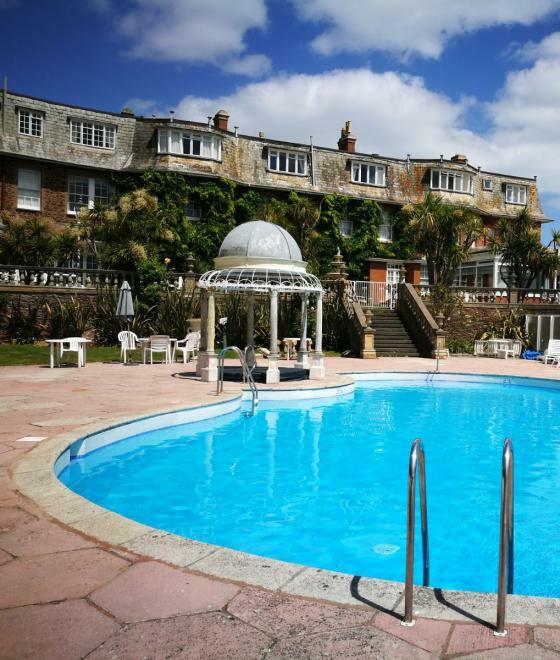 Many of the Bays attractions are close at hand and within easy walking distance you will find the Town Centre, Harbour, Marina, Beaches, Theatre and the beautiful Torre Abbey Gardens. You will also be able to visit those further afield on our Marine Travel scheduled excursions. Not far from our Hotel is the famous thatched Cockington Village with it’s Manor, Craft Centre, Forge, Award Winning Gardens, Ponds, Woodland and Olde World Pub. 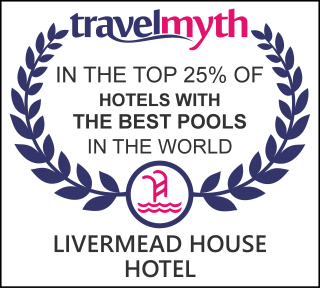 When you have seen the sights you can relax in the Hotels luxurious bars and lounges or take advantage of the leisure facilities which include a heated outdoor swimming pool, (June to October), sauna, solarium, squash, snooker or just enjoy the 2 acres of award winning landscaped gardens. The evenings are also a pleasure with sumptuous 4 Course dinners and regular entertainment throughout the year. 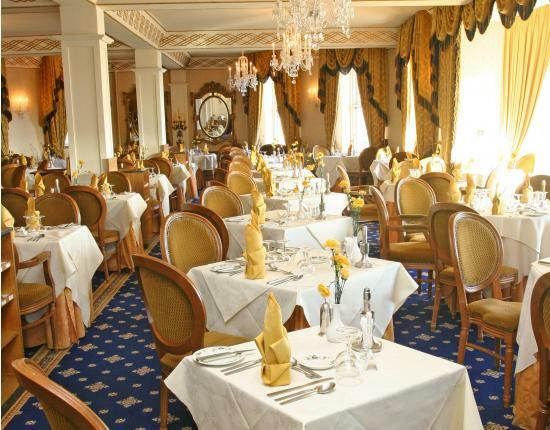 The hotel boasts a varied and extensive menu to suit all tastes. The convenience of local pick up points close to you. 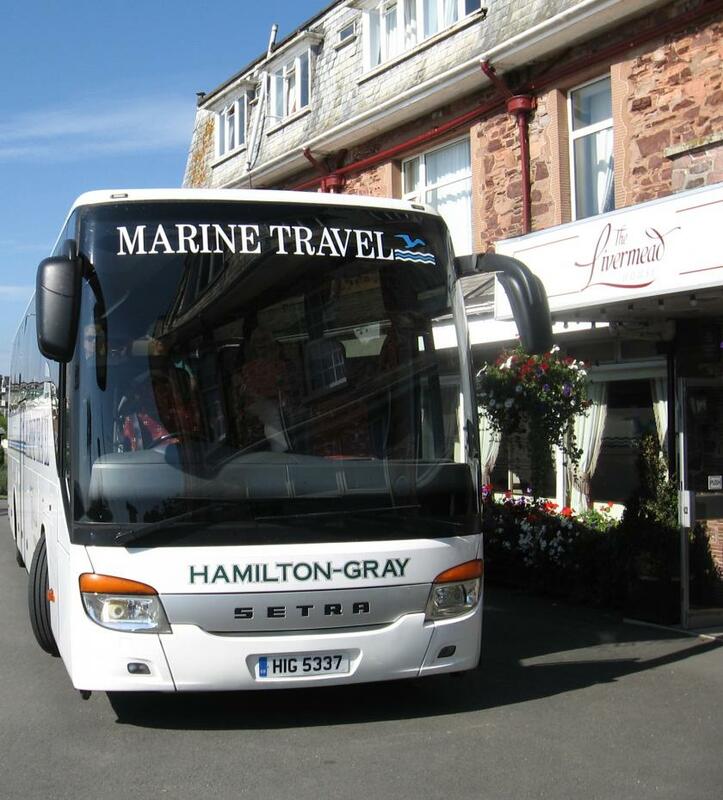 An extremely comfortable journey in one of our fully equipped, luxury Marine Travel Coaches. 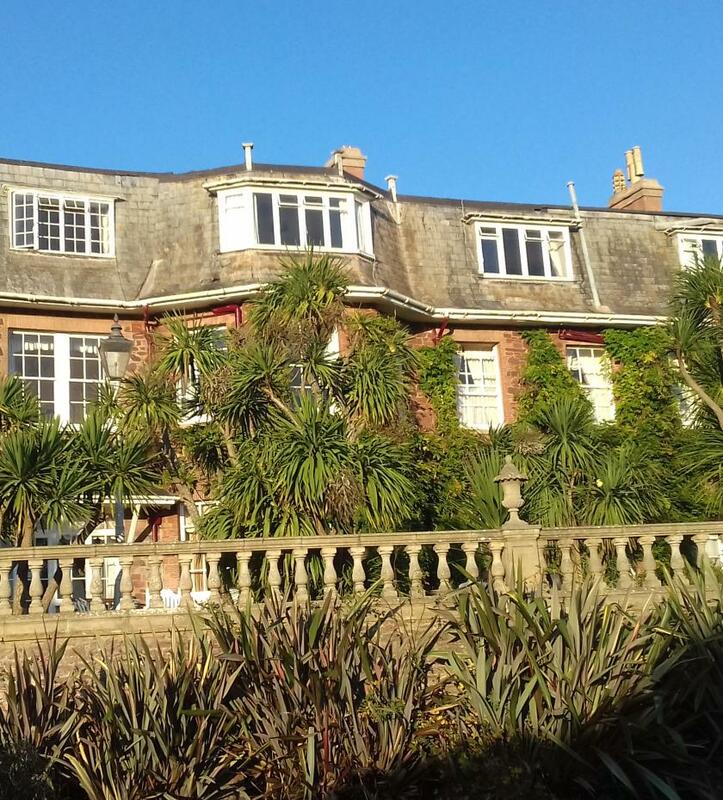 3 Star accommodation at the Livermead House Hotel situated on the seafront in the heart of Torbay. Two varied excursions, Including one full day and one half day. For more information please read the Marine Travel Terms & Conditions. 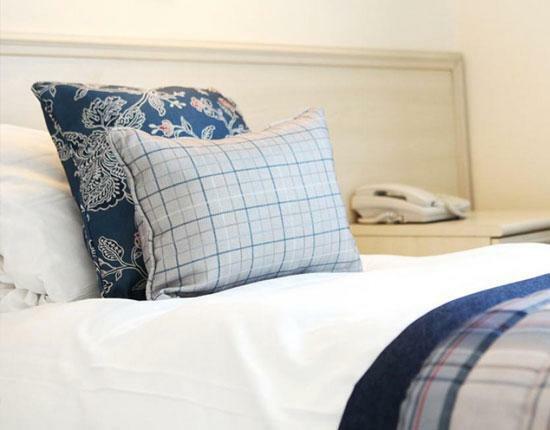 Elegant and well-furnished, our accommodation blends classic charm with modern comfort. From a hearty breakfast to evening dining accompanied by our piano player, every meal at The Livermead is an experience to savour. With its own microclimate, the area can often feel positively Mediterranean. 6 Night Holiday plus 1 Night Free! Sign up to our exclusive Marine Travel newsletter below.